We believe our community is one of the best there is, and part of what makes it great are the people and the causes they support. Here are a few of the causes we support, please take some time to get to know what they are about and how you can help support them, and how they might help you or someone you love. Our Mission – Seeking to put God’s love into action, Habitat for Humanity brings people together to build homes, communities and hope. Since 1993, Habitat for Humanity of Frederick County has built or renovated 36 homes, transforming the lives of 120 adults and children. Celebrating 25 years, Habitat for Humanity of Frederick County is proud to offer two homeownership programs and assistance with home repairs so more local residents can achieve the strength, stability and self-reliance that comes with affordable homeownership. The Mission provides breakfast and lunch to the homeless and working poor, totaling 137,000 meals served 365 days a year. In addition, the Mission’s Food Distribution Center fills the grocery needs of individuals and families through partnerships with local grocery stores, restaurants and the Maryland Food Bank. 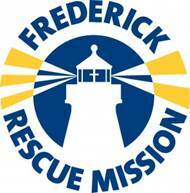 The Mission also runs a year-long, Christ-centered residential life recovery program designed to help men reclaim their lives following addiction and homelessness, and Faith House, a safe place for homeless women and children in Frederick. New Life Christian School’s mission is to partner with families to provide a quality educational program with a distinctly Biblical worldview, in order to equip students with the tools to integrate their knowledge and faith into the church, community, and the world. 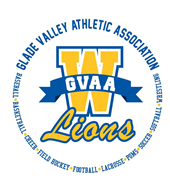 The Glade Valley Athletic Association (GVAA) offers ten sports to the young athletes of Walkersville, Maryland. The goal of each sport is not only to have fun while learning the game, but also to prepare young athletes to play in high school. We work closely with our high school coaches to make sure our programs mirror the goals of Walkersville High School sports.